Hummingbirds are the world’s smallest birds, the only ones that can hover in still air for 30 seconds or more, and the only birds with a “reverse gear”—that is, they can fly backward. 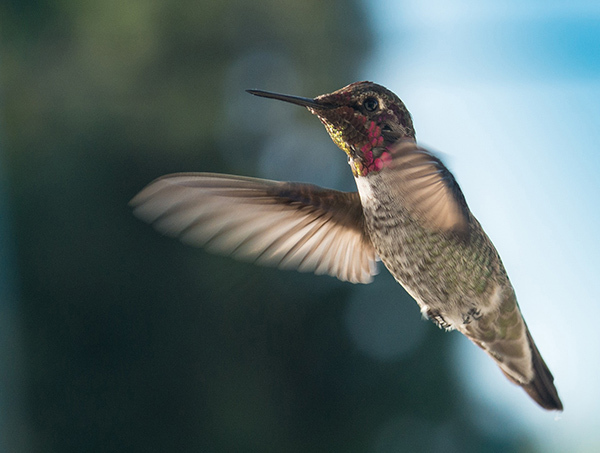 The tiny house movement—which advocates living simply in small homes—may be a current trend for humans, but hummingbirds have been experts at the practice for millions of years. To house and cradle their eggs, which are about the size of navy beans, hummingbirds typically build their nests in trees or shrubs that are 10 to 90 feet high. The velvety, compact, cup-style nests that they construct have spongy floors and elastic sides that stretch as the young grow. To make these small wonders of nature, they use spider silk to sew together bits of leaves, plant fibers and twigs and to anchor the little egg homes to their foundation branches. Most females lay two eggs, which they incubate for 15 to 18 days. Juvenile hummingbirds leave the nest 18 to 28 days after hatching. Few of us have ever seen a hummingbird nest because they are so tiny and so well camouflaged. From the ground, they look like another bump on a branch. From above, an umbrella of leaves usually conceals them. From the side, you could easily look right at one and mistake it for a small knot on a tree limb. 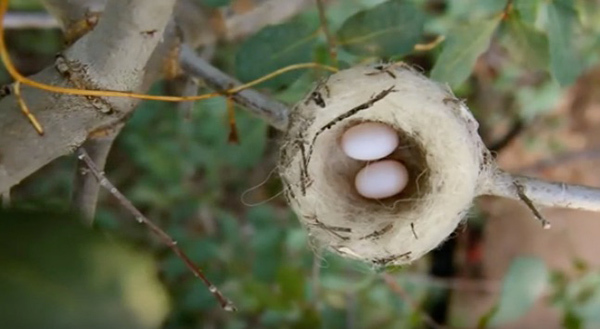 That’s why I’m offering you rare glimpses of hummingbird nests—and one of an architect—in the videos below. In the first, produced by PBS for the TV series Nature, you can watch a female Anna’s hummingbird constructing her nest from plant fibers and stitching it with the threads from spider webs. Then, she shingles it with lichen, moss and seeds, making it just the right size for her tiny eggs. Hummingbird flight is more like that of bees or flies than similar to that of other birds, in that they generate lift on both the downstroke and the upstroke of their wings. Out of such little homes, though, come some momentous events. In the second video, from the Cornell Lab of Ornithology, you’ll see a green-and-white hummingbird take its first flight from its nest next to the Andean Bear Rescue Center at Machu Picchu, Peru. Very little has been published about this small species of hummingbird endemic to the eastern Andean slopes of central Peru. Proponents of the tiny house movement believe that size isn’t everything; and as hummingbirds demonstrate, sometimes the smallest are the most comfortable—and yield some pretty wondrous offspring. 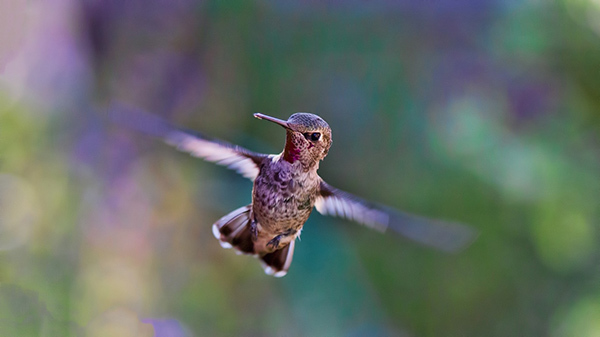 Incredible videos, and who doesn’t love hummingbirds?